Ainol is all known company in Europe and US, they are regularly launching budget priced tablets with latest Android versions. 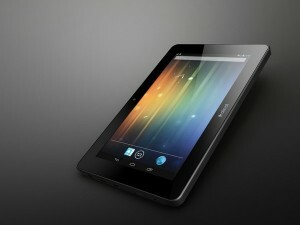 The Ainol Novo 7 was a Android 4.0 IceCream Sandwich based tablet now a successor is available. 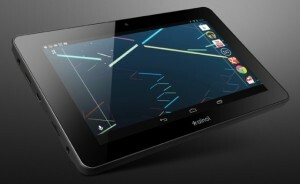 Touted as Nexus 7 and Kindle Fire HD competitor the new Ainol Novo 7 crystal runs the latest Android 4.1 Jelly Bean operating system on a Dual core processor. Although, Novo is from a Chinese manufacturer but they are always good with hardware. We will be comparing it with Kindle Fire HD and Nexus 7 later right now, I am going to detail you about the hardware and specs. Ainol 7 has competitive hardware when matched with Nexus 7 and Kindle Fire HD. It is priced much below them at $120 or Euro 130. Ainol Novo 7 Crystal may be missing something when compared to other hit tablets in the market but it sincerely packs the hardware with latest Android 4.1 Jelly Bean OS at the best price available. Ainol has some grip over the market and they are selling good through stores and Amazon. Verdict: If you want in a hurry to get a handy tablet with decent processing speed and latest Android 4.1 Jelly Bean and does not want to go for something expensive then Novo 7 crystal is good enough to handle your use. Most of the things are included in total package. You can also take it on the move as it has a decent battery life and connectivity features. If you do not want to invest as much as $200 and get something more affordable then Novo 7 crystal is the best Tablet at price tag of $120.